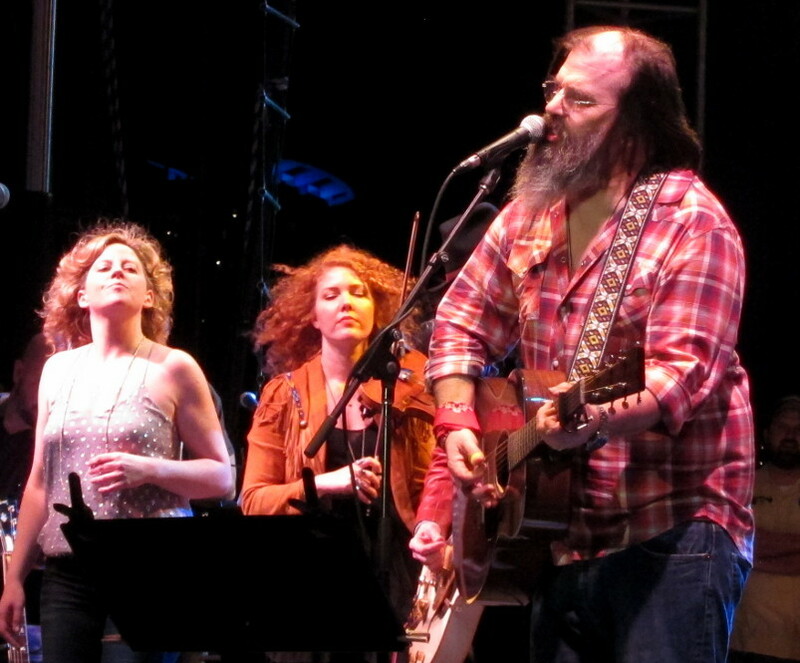 Steve Earle leads Amy Helm, left, Eleanor Whitmore and a number of guest stars in “The Weight” to help close out SXSW. The talked-about Leagues, from Nashville. And so it would go with other guest performers – Ivan Neville, J.J. Grey, members of Spirit Family Reunion, Carolyn Wonderland, and Cody and Luther from the North Mississippi All Stars. They all reunited onstage at the end, to perform “The Weight” to send their regards for everyone. At song’s finish, Earle stepped up and pointed to the sky. “See you when we get there, maestro,” he said. 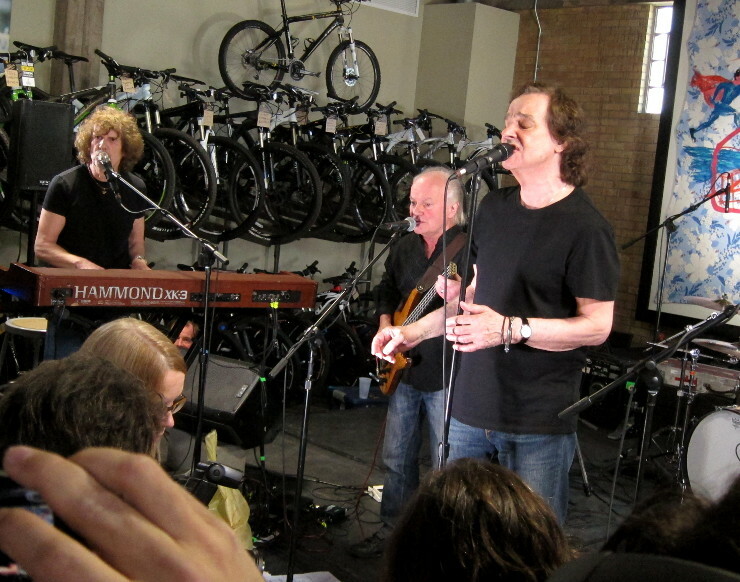 The Zombies, from left: Rod Argent, Jim Rodford and Colin Blunstone. 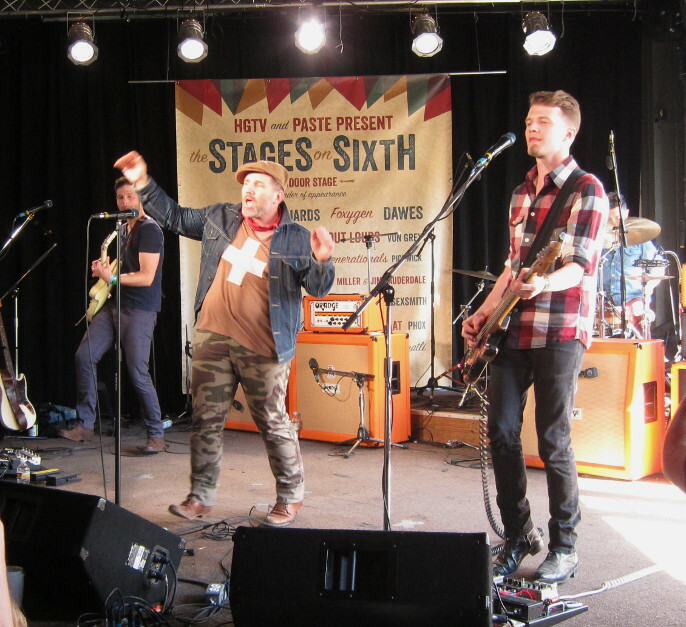 Thanks for reading, thanks to Popdose for putting up with us, and come on down to Austin next year. We’d love to see you. And we’ll buy you a free beer.